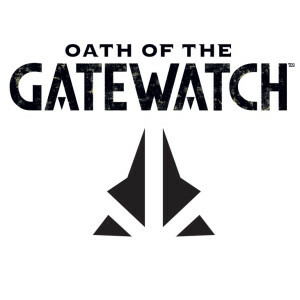 Oath of the Gatewatch officially been released tomorrow, and I know many players are anxious for this set to get released on Magic Online, which unfortunately won't happen until the first of February. Meanwhile, I'm continuing to work through my review of the set, with Part One being published over at PureMTGO yesterday. I've already written about the new colorless mana from the set as well as a first look at the new Lands at Common. For the next couple weeks, I'm examining my top two picks at Common from each of the five colors for Oath of the Gatewatch. Last time I looked at White; today, I'll look at Blue. It's unfortunate that this card will almost certainly see more widespread play than any other Blue common. But it just happens to be one of the best answers to a wide variety of spells and tricks. While it's not flashy, the ability to prevent your opponent from carrying out a key part of his or her plan for a mere 1U is actually quite strong. If you're playing Blue in Standard Pauper, at the very minimum you should have a couple of these in your Sideboard. In fact, this probably has enough targets to make it worth even running a couple in your maindeck. I've been pretty down on colorless mana, but this is probably one of the best uses for it. It's almost a reprint of Blinding Mage but with an extra point of Toughness added into the mix. Assuming you have the mana to activate it every turn, this becomes a very potent weapon in your arsenal, and one that you don't typically see in Blue. While this still probably isn't enough on its own to make you want to run basic colorless Lands, cards that produce incidental colorless mana may be enough to make this an option worth considering in some Blue builds. So those are my pick for the two best Blue Commons in Oath of the Gatewatch. What about you?